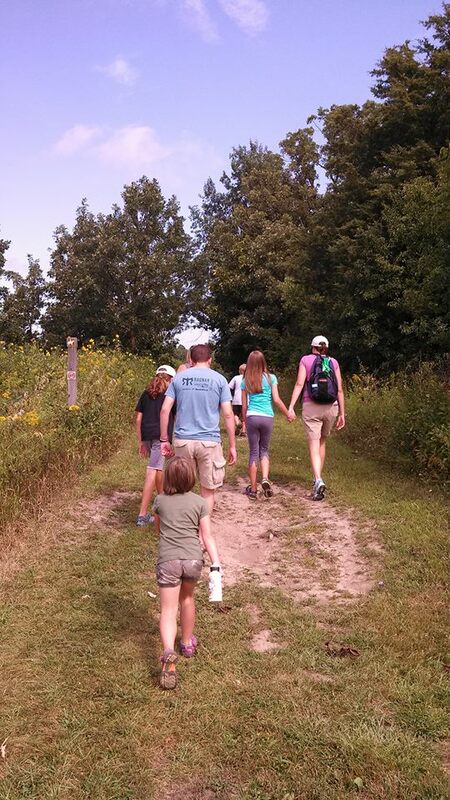 The appeal of camping for me is embracing a different rhythm, unplugging and spending time together as a family. While roughing it in the outdoors this last weekend, I read Sabbath in the Sububurbs by MaryAnn McKibben Dana. What a great read! I really felt “Sabbath-ly” when I turned off my phone and didn’t stress about bedtime, wake-up time, meal time, the rain that came as we cooked over the campfire, the dirt, and not even when people returned gear to the wrong, carefully labelled boxes. Tuesday it was back to reality and the phrase from the book that stuck in my head is, “you know you’ve had a good Sabbath when it leaves a residue.” In fact, I am repeating that every time I get in my van which smells super funky because the cooler leaked. Will the smell of cheese water ever come out? Although I plowed through the laundry, dishes and stashing everything away for next year as soon as I got home, I found there is still a residue on my heart, too. A peaceful, grateful, happy, rested feeling that has survived 2 (count ’em, 2!!) mornings of getting everyone off to school without a major crisis. That camping feeling is sticking with me and I am thankful for the time spent with my girls and my husband. The girls still enjoy camping with us, still crawling into our laps by the campfire. “Will I be ever be too big to fit in your lap?” they ask. “No” is the answer. Slowing down and savoring these fleeting moments is a wonderful break from the daily grind of “do your homework, clean your room, eat some vegetables, blah, blah blah” parenting. When I got home, I scanned through the photos that friends had placed on facebook and there it was: evidence that my girls treasure these moments, too. There in the picture is my 12 year old, holding my hand while on a morning walk. Now that is residue that feeds the soul. May the peace linger a while longer.